February 25, 2016 February 14, 2016 / Elizabeth T.
If you’re from LA (like me), then you must know about Urban Light, the large-scale assemblage sculpture by American artist Chris Burden, located at the entrance of the world-famous Los Angeles County Museum of Art. If you’re not from LA, I’m sure most of you have heard of or at least seen this famous Los Angeles icon on Instagram. 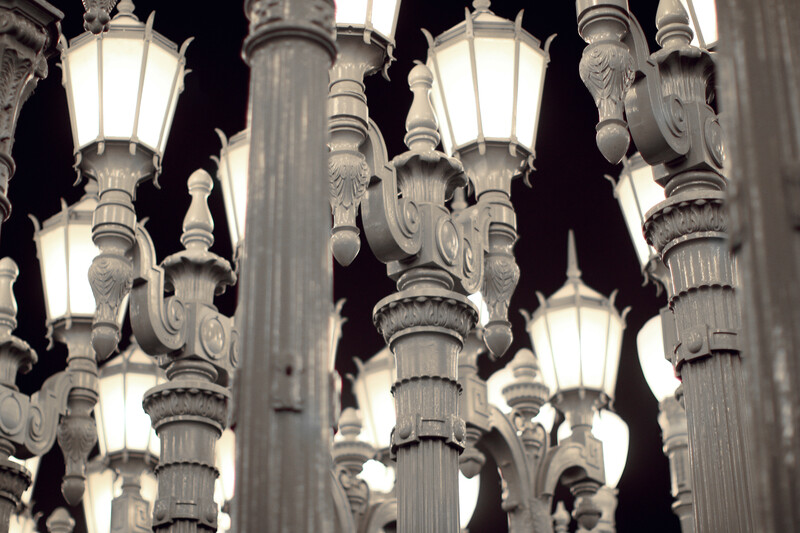 According to the Los Angeles Times, the installation consists of 202 restored lamps from the 1920s and 1930s, most of which lit the streets of Southern California. It’s always such a treat to drive by and see the lights from afar, but of course, nothing can really compare to actually walking amongst the rows and rows of cast iron street lamps to admire all of the different styles and the bright glow. On a breezy, early spring evening in Los Angeles, the Urban Lights make for such a romantic, little date night stroll, don’t you think? This is such a gorgeous look…..i love the dress! Hahaha! 😀 Thank you so much love ❤ 🙂 You're too sweet! I was always so jealous of photoshoots held there; I think it’s such a gorgeous location, especially at night or sunrise. So beautiful! Aww you should definitely visit the Urban Lights when you come to LA 🙂 I want to try a photoshoot there near sunrise or sunset next time too ❤ Hehe thank you for your kind words, love! Yes, it’s a great place for photo shoots 🙂 I’m going to go back during the day soon to get some shots during the daytime as well ❤ Thanks for stopping by love! Beautiful pictures! You look stunning. Thank you Pear ❤ You're too sweet! 🙂 Really appreciate your kind words! We’ve been there and we absolutely love this place. 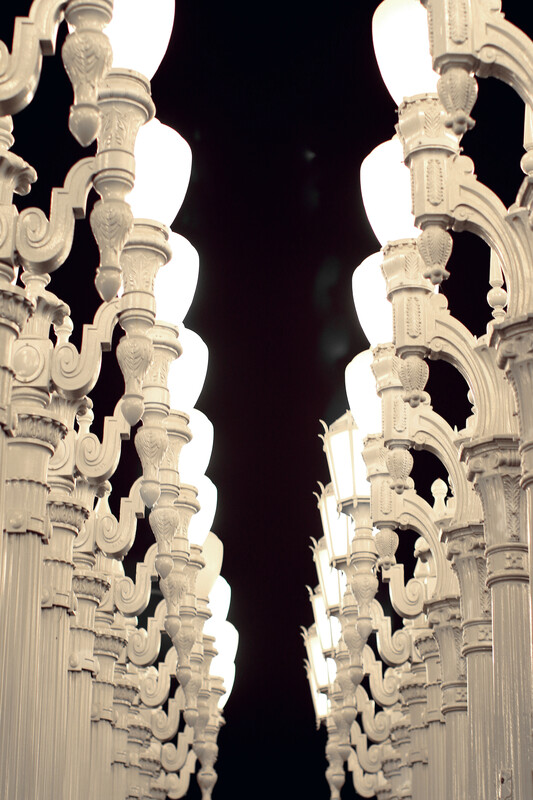 And the LACMA is an incredible museum, we could go there over and over! Btw, you look gorgeous on those pictures, we love the outfit! And of course the background is perfect! Yes, LACMA is one of my favorite places in LA too 🙂 And thank you so much ❤ Glad you liked the photos! I love this! Thanks for sharing and have a great day. Such a cute outfit!! I can’t wait until it is warm enough to wear dresses all the time! I’m so in love with your blog and your style. Thank you much Elisa! 🙂 You’re too sweet! Hahaha thank you so much Wynne 🙂 You should definitely visit it one day when you get the chance! OMG. This stunning look was tailored for you. Loving this sweet romantic location & all the lamp posts are just too beautiful. Thanks for sharing this place and the gorgeous outfit, honey! Haha aww you should come back and visit soon! 🙂 And thank you so much Lynna ❤ You're too sweet! Thank you so much Lynne ❤ 🙂 Hope you liked this outfit!